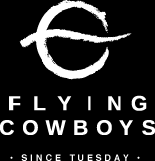 Flying Cowboys has a number of facets but our primary goal is to serve as the creative and marketing outlet for Greatest Generation Aircraft, a 501(c)(3) non-profit. Over the years of restoring and flying vintage warbirds, we have accumulated a wide array of aviation artifacts. One of our endeavors is to create and preserve living history in the form of architectural pieces, art and furnishings. Imagination that has flown and now can take form as a part of your life. Proceeds from designated sales go to the financial support of Greatest Generation Aircraft (GGA) and at present are focused on the restoration of what will be the the world's only flying WWII Waco Invasion Glider. One of our favorite places is MotoArt in California. These guys were visionary and do wonderful things for the aviation community. We have a different take on this. We restore, fly and maintain vintage aircraft. The art and architectural pieces we create have some "history" left on them. The belly boarding ladder panel of a B25 bomber will have the worn treads left in place opposite the polished aluminum fuselage. There is a fidelity to the men who climbed aboard and never truly knew if they would climb back down. We are striving to find a way to illuminate their lives while at the same time preserving pieces of history and, in so doing, funding the living legacy of flying vintage aircraft. Contact us for details on available inventory and custom installations.